Matthew trained at the Royal Central School of Speech and Drama and upon graduation joined the tour of Seven Brides For Seven Brothers. 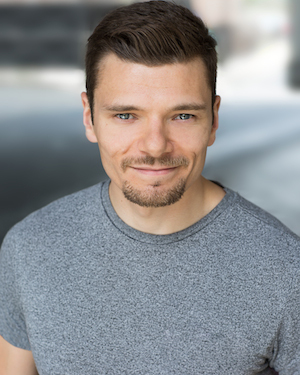 Matthew has been involved in the development of the new production of Paper Hearts The Musical that enjoyed success at the Edinburgh Festival before transferring to the Gate Theatre in London. Prior to this, he played Killjoy Silk in UKIP The Musical at Waterloo East and Sweeney Todd for David Adkin Productions at the Twickenham Theatre. Matthew recently appeared at the BEAM 2018 Festival in Paper Hearts at Theatre Royal Stratford East and in the UK Tour of Jane Austen's Persuasion for Theatre6. He joins Qdos' Jack & the Beanstalk as Fleshcreep this Christmas at White Rock Theatre, Hastings.